Hudson Looking to Continue Winning Ways in Street Stock 200 - Anderson, Indiana Speedway - Home to the World's Fastest High-Banked Quarter Mile Oval! A year ago Brett Hudson captured the Champion Racing Association’s Street Stock 200 at Anderson Speedway and he will be looking to make it two in a row. 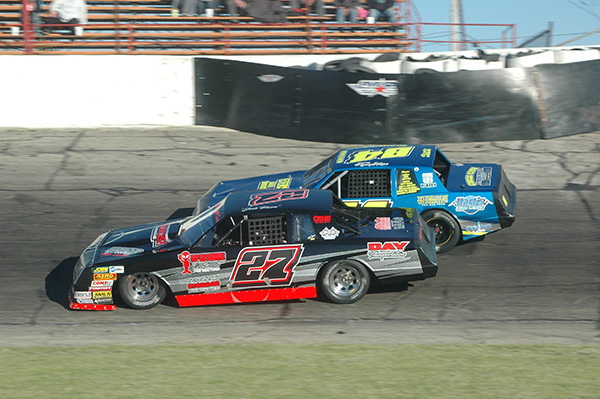 The CRA Street Stock 200, the second event in the Five Crown series, will be contested on Sport Clips Night at the track this Saturday. The ThunderCars return to action along with the first appearance of the Legends Division with racing action starting at 8 p.m.
Hudson won the opening event of the Five Crown series taking home the $3,000 winner’s share of the purse at the Shady Bowl Speedway in Ohio. Elwood’s Jacob McElfresh and Anderson’s Josh Poore are among the local drivers that will be looking to claim the victory. Travis Burge has won the three Vore’s Welding and Steel Street Stock Division races this year by driving for Poore. Burge is looking for a ride to compete in the 200 lap event. Anderson’s Ronnie Rose is undefeated in ThunderCar action this year. The Legends are making their first appearance of 2018. Last year Zack Miller won four of the six events holding off his brother Ryan several times. Caleb Heady and James Edsall III were the other feature winners. Qualifying is set for 6:30 p.m. with racing action at 8 p.m. Adults tickets are $12, $4 for children between 6 and 12 years of age and under six admitted for free.